Davis went from newspapers to radio when white-owned, black-programmed San Francisco radio station KSAN asked if she would like to read her social column on the air. She became the only female voice on KSAN, mastering the job as she did with her previous newspaper jobs. Davis’ radio career took her from KSAN to KDIA to KJAZ to KNEW. She pioneered “The Belva Davis Show” in the 1960s, incorporating every stereotypical concept of women’s programming available: recipes, childcare tips, decorating advice. As “The Belva Davis Show” became a hit, Davis admits that she “was beginning to lead a life I could not have imagined merely a couple of years before.” She remarried. 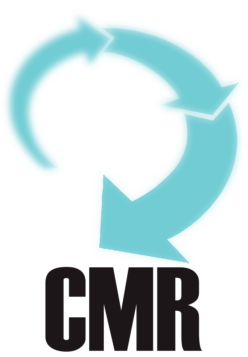 Her husband, Bill Moore, was one of the country’s first African-American television news cameramen. As her story is no doubt inspiring to young people today, Davis writes of her own inspiration. She was one of millions who, after hearing Martin Luther King articulate his dream, began investing in dreams of her own. 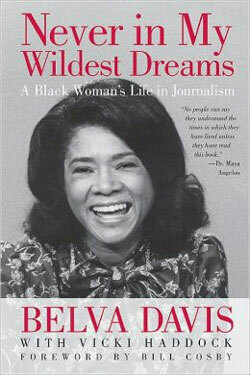 Davis moved from radio to television at a time when there was not a solitary black woman in TV news. She believed that the future of journalism was in television despite the fact that television did not, in those days, represent the population of America. Her first job was at KPIX-TV, San Francisco’s CBS station, where they held a press conference to announce that they had hired “the first black woman TV reporter west of the Mississippi.” Davis’ description of her career as an eyewitness television reporter takes us through years of covering violent campus revolts, reporting on the Black Panthers, sharing a helicopter ride with Sen. Robert Kennedy, visiting Ronald Reagan’s Sacramento home when he was governor, interviewing President Gerald Ford, covering the mass suicide of Rev. Jim Jones’ followers, and traveling to Cuba to interview Fidel Castro. Davis left KPIX for KQED, one of the most watched and respected PBS stations in the country, and became the sole anchor of a primetime newscast. One of the most compelling parts of Davis’ story is how she looked for ways to advance causes of importance to her, including equality and women’s issues throughout her career. For example, at a time when television was still “very much a boy’s club” in the 1970s, Davis produced a series on breast cancer that won a local Emmy award. She joined and became a leader of the American Federation of Television and Radio Artists (AFTRA), trying to mentor and support young journalists and performers. She produced the Miss Bronze Northern California Pageant. She produced the Black Filmmakers Hall of Fame for almost two decades. She helped launch the Museum of the African Diaspora. A lesson largely glossed over in Davis’ memoir, but present nonetheless, is that while it may look easy to balance work and family, in reality, it is far from easy. Davis honestly and poignantly addresses her concerns that her children “paid a price for [her] career.” She admits that as one of the first hired people in her business, she had to repeatedly prove herself by working harder than everyone else. While she laments that she “erred on the side of compulsive overachievement at work, probably shortchanging [her] family in the process,” Davis concludes that the benefits of her career outweighed the costs. In her fascinating and full career, Davis says that she “really never said no.” She states that “I agreed to whatever the editors tossed my way. . . I felt the need to prove, over and over again, that I could handle anything.” Davis in fact did prove that. Although 5-foot-1, Davis can only be described as a giant.